You are the children of a modern, democratic and open Europe. Credit: Ministry of Environment - European Parliament (distributed via Flickr). 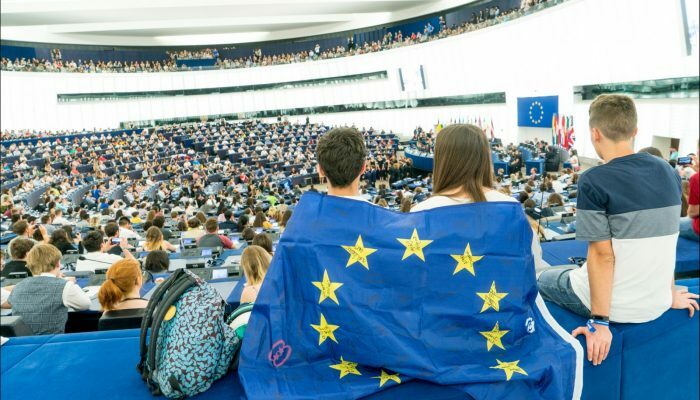 The European Parliament currently has 751 members who belong to one of the eight political groups, at least one of the 20 different committees and represent approximately 500 million people from the 28 EU Member States. The EU Parliament plays an extremely important role in the EU. It oversees the EU budget, launches investigations into specific issues and shares legislative powers with the Council of the EU which means that it can pass, reject and adjust proposals submitted by the EU Commission. The current parliamentary configuration is often more ambitious than the EU Commission in terms of sustainability, climate targets and funding for science. In November 2018, the Parliament’s Industry, Research and Energy committee called to increase the budget for the EU’s 2021-2027 research and innovation framework programme (Horizon Europe), from the Commission’s proposed €83.5 billion to €120 billion. And ahead of COP24 in 2018, the Parliament voted to increase the EU’s emissions reduction target from 45% to 55% compared to 1990 levels. 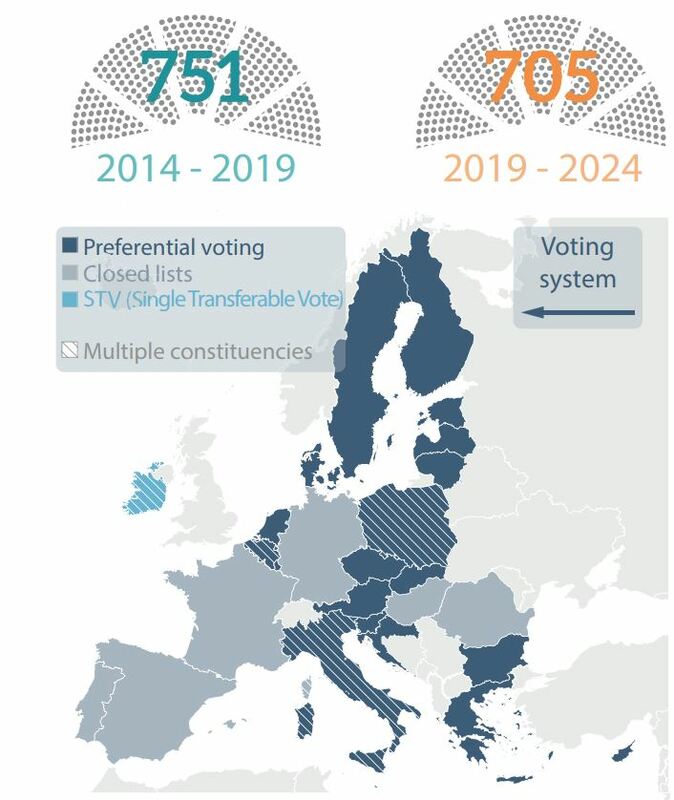 However, the current configuration of the EU Parliament is set to change with the upcoming European Parliament Election which will be held from 23–26 May 2019. The European Parliament is the only body of the European Union that is elected directly by EU citizens. 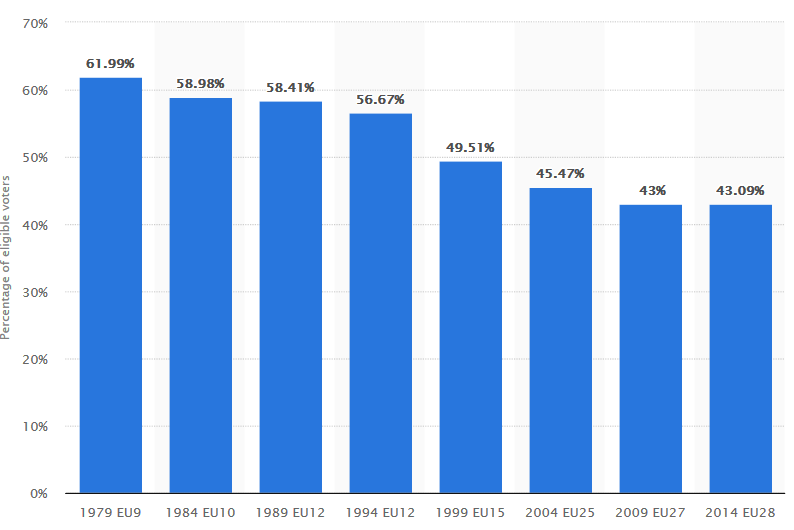 Despite this, since the first EU Parliamentary elections in 1979, voter turnout has significantly declined from 62.0% to 43.0% in 2009 and only a slightly higher turnout of 43.1 in 2014 (see Figure 1). What do the EU elections decide? 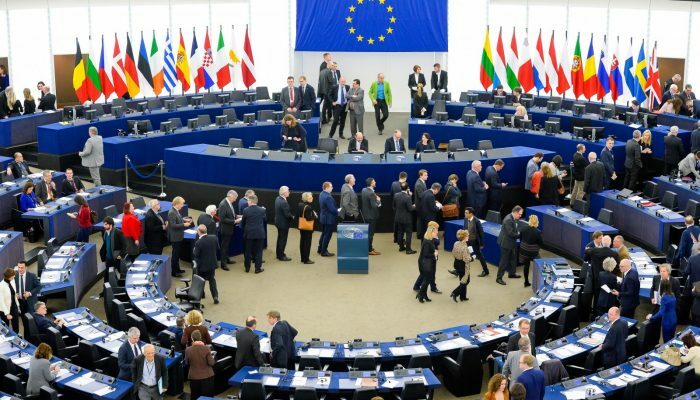 The next European Parliament election will determine who the Members of Parliament (MEPs) will be. There are currently 751 MEPs but this number will be reduced to 705 after the 2019 election as a result of the UK leaving the Union. Each of the soon to be 27 EU Member States (after Brexit) has already been allocated a number of the 705 MEP seats based on the size of their population. The elections in May will decide who, from each Member State, will fill these positions. The focus and direction of the EU Parliament is dictated by the MEPs elected. Your vote will therefore help dictate the future EU budget, which legislation is passed and what adjustments are made! Voting in the European Parliament election is restricted to nationals of EU Member States. Usually, EU nationals are only able to vote for candidates that are standing for elections in their own countries but if you live and are registered in a different EU Member State you can chose to participate in the election of your host country instead. But of course, you can’t vote twice! So, if you are live in a different EU Member State, you will have to decide whether you’d rather vote for a candidate in your host country or your home country. The UK is scheduled to leave the EU on 29 March 2019 after which UK nationals will no longer have MEPs or the right to vote for them (regardless of where they live). If you’re an EU citizen living in the UK and want to vote in the European Parliament elections, it is still possible depending on your home country. You can find more information about your country’s specific rules regarding citizens living in the UK here. This section of the EU website can provide you with specific details depending on your nationality and country of residence. What are some of the concerns for the upcoming election? As Figure 1 shows, voter turnout is a definite concern. The EU Parliament is attempting to address this through initiatives such as “this time I’m voting“. Hacking and cybersecurity are also potential threats to the election. As European Commissioner for Security Julian King stated, “Given the dispersed nature and comparatively long duration of the European Parliament elections, they present a tempting target for malicious actors”. Furthermore, there is increasing concern about the prevalence of disinformation. Fake news can easily go viral when individuals fail to fact-check before sharing a link on social media. Bots, that can be controlled by individuals or governments, also have the ability to share fake news, shape online conversations and subsequent discourses. There is evidence to show that such bots have already had an influence on certain EU issues such as immigration in Italy. The EU is already working to combat disinformation with the EU Action Plan against Disinformation which was released by the Commission in December 2018. Key online organisations such as Google, Facebook, Twitter and Mozilla are also expected to release figures on disinformation and the measures that they are taking against it in early 2018. Increasing nationalism and populism within the EU is another concern with populists gaining traction in many EU countries. What can you do in the lead up to the election? Know the voting rules and specifics of the country you will be voting in and make sure you register if your country requires it. Have an understanding about what issues your country or constituency’s candidates support. Most countries should have an overview of the candidates running closer to the election. Websites such as VoteWatch Europe can tell you how active each current MEP is, how they have voted on particular issues and the initiatives that they’ve been involved with. If a candidate was, for example, involved in the 2017 MEP Scientist Pairing Scheme, they are likely to support science and science for policy. And this goes without saying for most scientists … don’t spread misinformation! Make sure your sources are reliable and don’t just share an article based on the headline. Mirror mirror in the sea... Credit: Mario Hoppmann (distributed via imaggeo). On Wednesday 28 November 2018, the European Commission adopted a strategic long-term vision for a climate neutral economy (net-zero emissions) by 2050! A Clean Planet for All, tactically released ahead of the 24th Conference of the Parties (COP 24), which will be hosted in Katowice, Poland from 2-14 December, describes seven overarching areas that require action and eight different scenarios that allow the EU to significantly reduce emissions. The EU is currently responsible for approximately 10% of global greenhouse gas emissions and is looking to become a world leader in the transition towards climate neutrality – a state where the amount of emissions produced is equal to that sequestered . A Clean Planet for All highlights how the EU can reduce its emissions and, in two of the eight scenarios outlined, have a climate neutral economy by 2050. A Clean Planet for All is a leap toward a climate neutral economy but it does not intend to launch new policies, nor alter the 2030 climate & energy framework and targets that are already in place. Instead, it will use these targets as a baseline while simultaneously setting the direction of EU policies so that they align with the Paris Agreement’s temperature objectives, help achieve the UN’s Sustainable Development Goals and improve the EU’s long-term prosperity and health. What role did science play in the Clean Planet for All strategy? 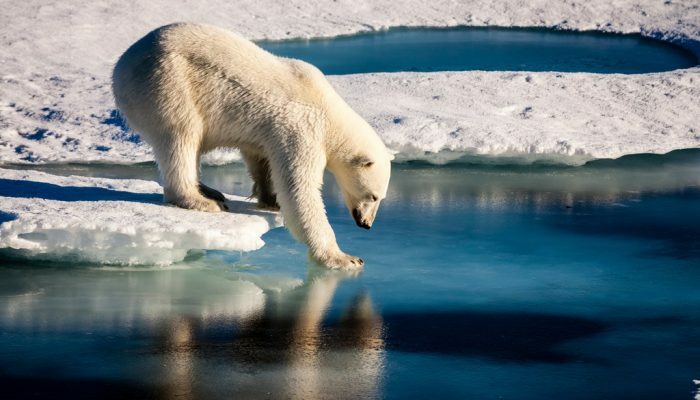 Reports generated using climate research, such as the Intergovernmental Panel on Climate Change (IPCC)’s Special Report on Global Warming of 1.5ºC, have been catalysts in national climate strategies and policies around the world. This is holds true for the EU’s A Clean Planet for All which features quotes and statistics from the IPCC’s 1.5ºC Report. International treaties and targets set by organisations such as the United Nations also put pressure on national and regional governments to act and implement their own polices to reduce emissions. Many of these treaties and global targets are based on scientific reports that describe the current state of the world and give projections based on future scenarios. One of the most noteworthy examples of a global treaty is the Paris Agreement which was ratified by 181 counties in 2015. The Sustainable Development Goals are an example of global targets created using a breadth of scientific studies and that are a major consideration when national and local governments are creating policy. More directly, A Clean Planet for All’s eight different scenarios and their likely outcomes required a huge amount of research and calculations – these scenarios are outlined in more detail below. External scientific input was also employed with scientists and other stakeholders given the opportunity to contribute to the proposal. An EU Public Consultation was open from 17 July until 9 October 2018 and received over 2800 responses. There was also a stakeholder event on 10-11 July 2018 that brought together stakeholders from research, business and the public to discuss the issues with the upcoming strategy. A Clean Planet for All outlines seven building blocks that will enable Europe to reduce emissions and build a climate neutral economy. 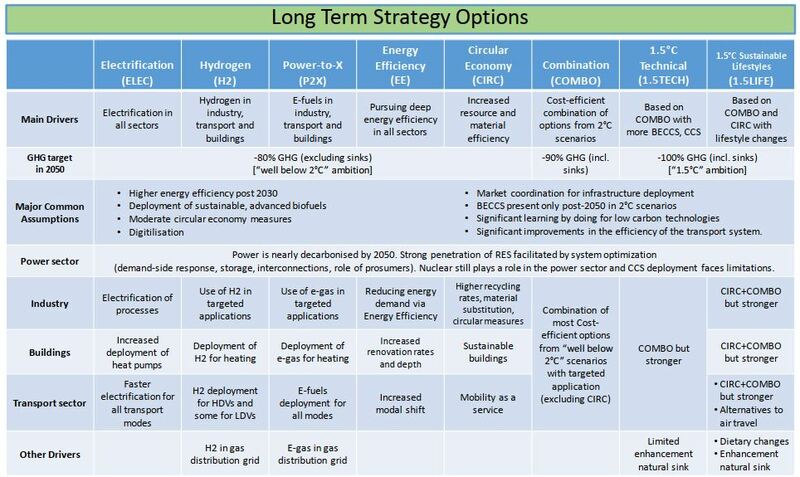 The Clean Planet for All strategy describes eight different scenarios or pathways that range from an 80% cut in emissions to net-zero emissions by 2050 (see Figure 2 below). Regardless of the scenario chosen, the Commissioner for Climate Action and Energy, Miguel Arias Cañete, emphasised that the structure of the strategy will give member states a certain amount of flexibility to follow different paths. The eight options outlined in the strategy are “what if-scenarios”. They highlight what is likely to happen with a given combination of technologies and actions. While all eight scenarios will enable the EU to reduce emissions, only the last two (shown in the figure below) provide Europe with the opportunity to build a carbon neutral economy by 2050. 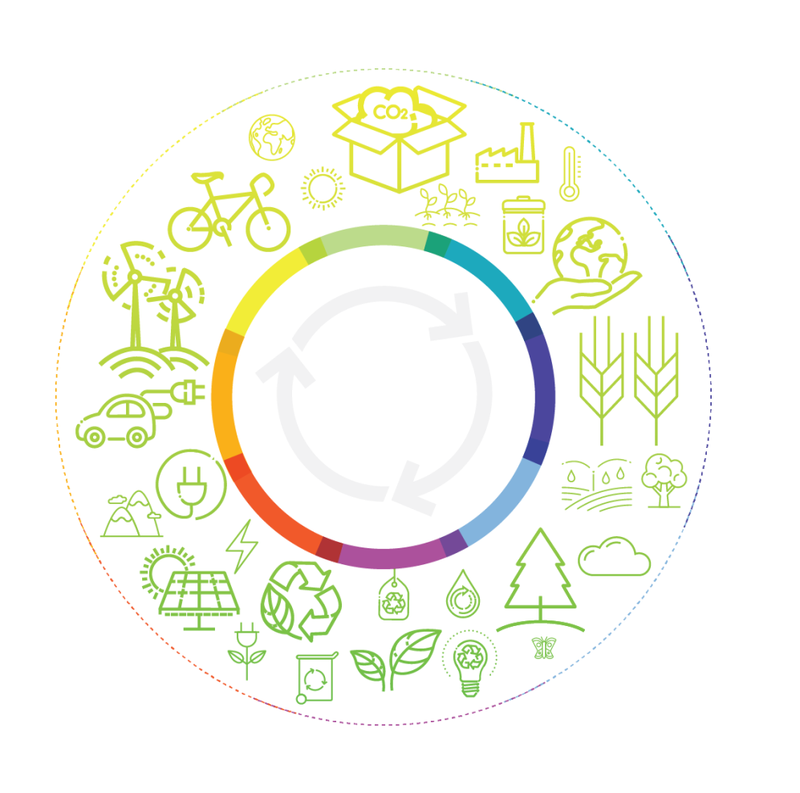 The first five scenarios all focus on initiatives which foster a transition towards a climate neutral economy with the extent that electrification, hydrogen, e-fuels and energy efficiency is implemented and the role that the circular economy will play, being the variable. The anticipated electricity consumption required in 2050 also differs depending on the option selected. The energy efficiency and circular economy options have a greater focus on reducing the energy demand rather than developing new sources of clean energy and therefore require the lowest increase in electricity generation (approximately 35% more by 2050 compared with today). Despite the differences, the first five scenarios will all only achieve 80 – 85% emission reductions by 2050 compared with 1990, 15% short of a climate neutral economy. The sixth scenario combines the first five options but at lower levels and reaches an emissions reduction of up to 90%. The seventh and eighth scenarios are the only ones that could lead to net-zero emissions by 2050. The seventh option combines the first four options and negative emissions technology such as carbon capture and storage. The eighth scenario builds on the seventh with an additional focus on circular economy, encouraging less carbon intensive consumer choices and strengthened carbon sinks via land use changes. What about the economic cost? The EU has allocated approximately 20% of its overall 2014-2020 budget (over €206 billion) to climate change-related action. This covers areas such as research and innovation, energy efficiency, public transport, renewable energy, network infrastructure, just to name a few. To achieve a climate neutral economy by 2050, the EU has proposed to raise the share spent on climate-related action to 25% (€320 billion) for the 2021-2027 period. This is a significant increase but it’s also a smart investment! Not only will it help the EU reach net-emissions but it’s also expected to lower energy bills, increase competitiveness and stimulate economic growth with an estimated GDP increase of up to 2% by 2050. It will also help to reduce the financial impacts of climate change such as damages from increased flooding, heatwaves and droughts. According to a study published in 2018 by the Joint Research Centre, 3ºC of warming (likely in a business-as-usual scenario), would cut Europe’s GDP by at least €240 billion annually by the end of the century. That estimate drops to €79 billion with 2ºC of warming. The strategy and scenarios will be discussed at COP24 and may even provide inspiration for other countries to implement similar strategies. 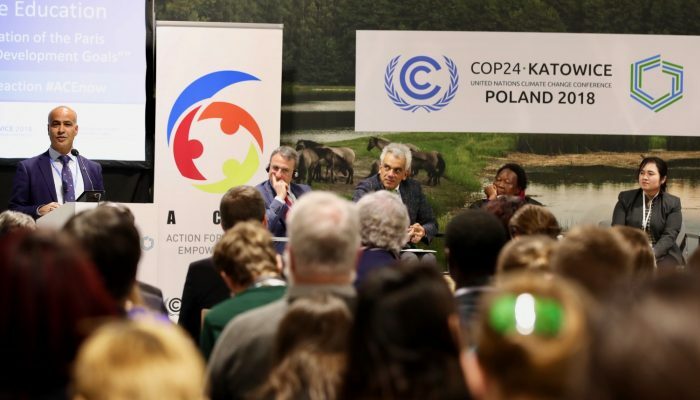 You can keep an eye on COP24 developments by streaming sessions via the UNFCCC live webcast and by using #COP24 on social media. Although already adopted by the European Commission, A Clean Planet for All still needs input and approval from the European Council, the European Parliament’s Environment Committee, the Committee of the Regions and the Economic and Social Committee. According to the Paris Agreement, all 181 nations must submit their 2030 emissions targets by 2020 so it’s likely that comments from these committees will come in early 2019. It’s likely that there will also be a number of stakeholder events in 2019, such as Citizens Dialogues that give scientists, businesses, non-governmental organisations and the public the opportunity to share their thoughts and be involved in the process. The EGU will provide updates on relevant opportunities as they arise. To receive these updates you can join the EGU’s database of expertise!